Road to Peace explores the paths to inner peace. The Dalai Lama is one of the most influential leaders in the world today, and his message of peace is one that brings some fresh ideas and clarity at a time when the world seems increasingly in chaos. 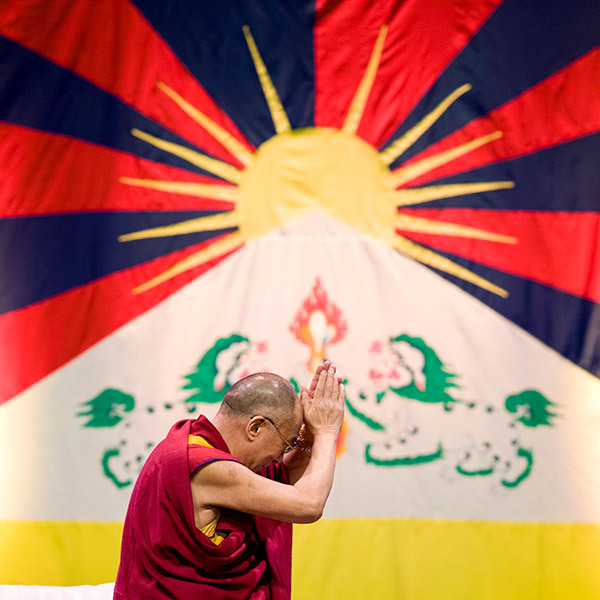 Film-maker Leon Stuparich champions the Dalai Lama’s philosophy of inner-peace as one that “is vital at a time when the world needs leadership that will inspires long term social change.” But is the Tibetan leader’s message relevant to the 21st Century in the west? The Dalai Lama expresses that we are going to face many problems in the 21st century, with climate change, population increase, but because “these problems are essentially our own creation, we have the ability to solve these problems”. And that’s what this film hopes to inspire: a perspective on the world the aims to show people that peace is possible if we have the determination to bring about change within our own lives, for the benefit of children’s grandchildren – and beyond. We all have a responsibility for our own wellbeing and for our impact on others and the environment in which we live. Yet creating peace and harmony in the world starts with making peace with ourselves, and from here that harmony can ripple out across group, national and international levels. “In my experience one person can and does make a difference,” says Leon Stuparich, the film’s director-producer. “If your motivation is to make the world a better place, then simply by thinking it, you have instigated positive change. But put some action and determination behind your intention and you’ve already made a massive impact. “It is my hope that Road to Peace shows how we can all live more loving and compassionate lives by developing our inner peace and inner strength in order to create the changes needed for a happier and peaceful world, for this and future generations,” concludes Leon Stuparich.